As always, you do not need to be a member to attend. All are invited, and all are welcome. Family Promise of Hudson County is a non-profit that shelters and aids families in Hudson County. By pulling together community resources, families can be kept together while barriers to self-sustainability are addressed. Our role will be to feed and house families at night, probably no more than 14 people, and probably only for a week at a time. If you are interested in volunteering or are simply curious about the program, please come to the Shul on Monday, May 7 at 6:30pm. Shalom Baby Playgroup is not a big event like Shalom Sesame. It is a more intimate experience geared to babies, toddlers and young siblings. Parents, grandparents or caretakers are welcome. The structure of the playgroup includes; free play, crafts, a story, songs and creative movement set to live guitar. The theme of Earth Day was chosen since April 22nd is Earth Day and will talk about Baal Tashchit. 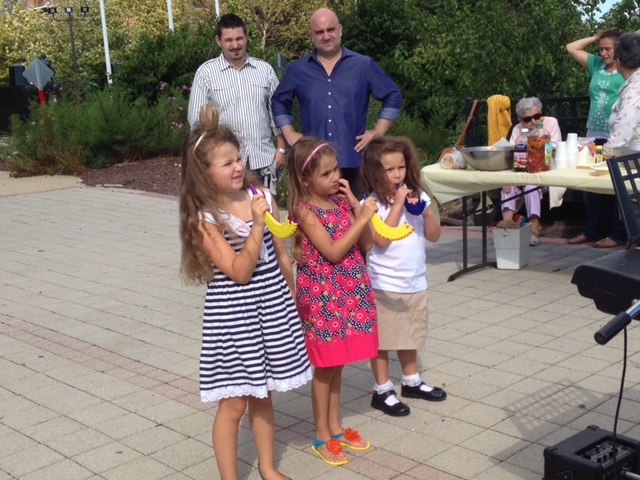 Special thanks to Hamilton House and the Shuster Family for their support! Family Shabbat is a child-friendly service that encourages the participation of children and is especially popular with families with children. Our Family Shabbat has a shorter service and a nice Kiddush. As always, you do not need to be a member to attend. All are invited, and all are welcome. This week’s Oneg will be sponsored by Carla and Thomas Main to in loving memory of Carla’s mother Edith Post Z”L. Take a break during the day, come for a light lunch, discuss ideas, and share opinions with friends. Carla is a writer who grew up in New York. Her father was a social studies teacher. He wrote the first curriculum for teaching the Holocaust to young people in high schools in 1973. Carla will share her memories of when the Holocaust was a new subject and why her father’s work still matters. After The stress of Pesach, come and relax with a good movie! 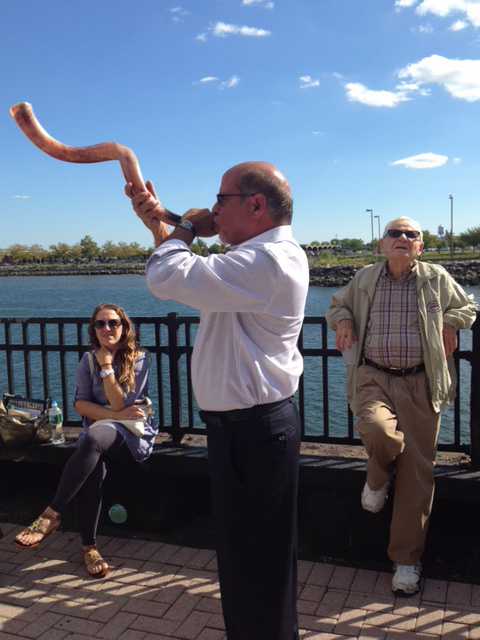 Relax and welcome Shabbat in Downtown Jersey City with a brief service and a nice Kiddush and Oneg. Our Kiddush and Oneg this week is sponsored by the Schrimmer Family to honor the Yahrzeit of Jeffrey’s father Peter Schrimmer Z”L. Take a break during the day, come for a light Pesach lunch, discuss ideas, and share opinions with friends. Special thanks to the Schachat and Trotta families for sponsoring our Oneg! Movie Night at the Rabbi’s house. Phone Rabbi Aaron at 201.435.5725 or email him at rabbiaaron1@gmail.com to RSVP and for information. Celebrate Purim at the Shul! A Purim service is supposed to be fun for children of all ages and a little noisy, and of course, there must be food. Special thanks to Maid in Hoboken for sponsoring pizza! Hebrew with Jewish Philosophy: an innovative Ulpan style teaching method using associative learning to teach Hebrew in Hebrew. We will use basic vocabulary revolving around Jewish holidays, traditions, modern day Israeli culture and current affairs. The classes focus on speaking, reading and some writing. Special thanks to the Brody family for sponsoring today’s Oneg. Celebrate Tu B’Shevat (New Year’s Day for Trees) with a Seder involving music and wine as well as cheese, fruits, nuts, and other snacks. As Spring approaches, we will take a little time to celebrate nature and affirm our relationship to the Earth with our Congregation B’nai Jacob family and friends. There is no fee, and as always, you do not need to be a member to attend. All are invited, and all are welcome. Movie Night at the Rabbi’s house. Phone Rabbi Aaron at 201.435.5725 or email him at rabbiaaron1@gmail.com to RSVP and for information. Pot luck Shabbat: Welcome the start of Shabbat with family, friends, and food. Bring a vegetarian/dairy dish or dessert or simply yourselves and take a little time to relax at the Shul after a busy week. As always, you do not need to be a member to attend. All are invited and all are welcome. Dinner at a Chinese Restaurant. 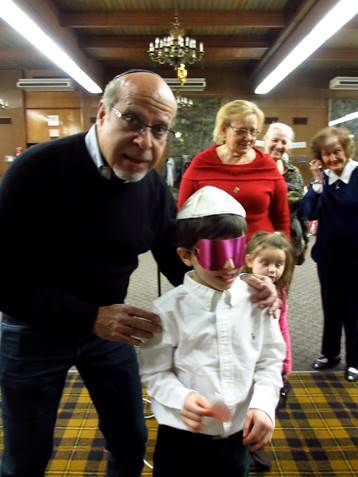 Enjoy another fun Jewish tradition with your B’nai Jacob family and friends. Say Happy Chanukah to your friends and family at B’nai Jacob by cooking up a batch of your favorite Latkes to share with our community at the Shul. You are not required to bring Latkes, but we hope you will. Chanukah Shabbat Dinner at B’nai Jacob. Fee: $18 (no fee for children under 10). Ruach Shabbat. A child-friendly service that encourages the participation of children and is especially popular with families with children. Ruach Shabbat has a shorter service and a nice Kiddush. Hebrew for Adults: an innovative Ulpan style teaching method using associative learning to teach Hebrew in Hebrew. We will use basic vocabulary revolving around Jewish holidays, traditions, modern day Israeli culture and current affairs. The classes focus on speaking, reading and some writing. Cost: Member: free Non Member: $10 per class. Movie Night. Stay tuned for information about our December Movie! Millennial Shabbat. This is a Shabbat service that is intended to be attractive to young professionals and the young at heart. Hebrew for Adults: an innovative Ulpan style teaching method using associative learning to teach Hebrew in Hebrew. We will use basic vocabulary revolving around Jewish holidays, traditions, modern day Israeli culture and current affairs. The classes focus on speaking, reading and some writing. Pot luck Shabbat. Please bring a favorite vegetarian or dairy dish (no turkey). Sunday morning Hebrew School for young students as well as a specialized program of preparation for Bar/Bat Mitzvah students. Shabbat Service to recognize new members. We invite our newest members to meet each other and allow us all to celebrate your participation. Movie Night. Drinks and popcorn! Non Member: $10 per class. 6:30PM: Simchat Torah Celebrations and pizza. 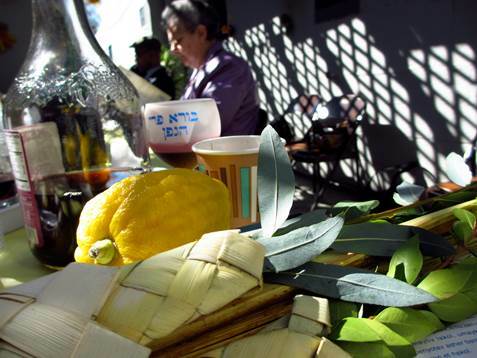 Take a pause from work, enjoy a lunch in the Sukkah with friends and celebrate the time with community! Millennial Shabbat in the Sukkah. Erev Sukkot BBQ dinner in the Sukkah.Cost: $18. Children under 6: free. Erev Sukkot BBQ dinner in the Sukkah. Cost: $18. Children under 6: free. Morning service with Torah service: 10 AM -11:15 AM. Mincha service: Book of Yonah: reading, study and discussion: 5 PM. Yizkor and Healing service: 6 PM. Community breakfast: 7:25 PM sponsored by Jane Canter and family. Our Kol Nidrei service is full of emotions, music, meaningful readings and traditional liturgy. Celebrating the New Year with Friends in the Rabbi’s home. Friday, September 22: Rosh Hashana II. 7:00PM: Bat Mitzvah of Khira Fried! Ro and Paul Fried invite the entire community to join them in celebrating the Bat Mitzvah of their daughter Khira. The service will be conducted by Khira Fried and will be followed by a casual dinner for everyone to attend. Thursday, September 21: Rosh Hashana I. 9:45AM-12:15PM: a innovative service linking the past to the future including morning service, Torah service, and Shofar service . 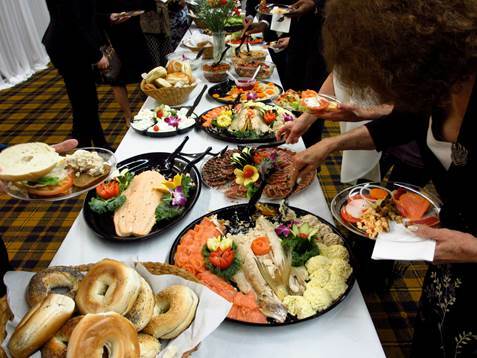 Wednesday, September 20: Erev Rosh Hashana Catered dinner, 7PM. Cost: $36. Please RSVP. An innovative Ulpan style teaching method using associative learning to teach Hebrew in Hebrew. We will use basic vocabulary revolving around Jewish holidays, traditions, modern day Israeli culture and current affairs. The classes focus on speaking, reading and some writing. Our topic: Honey from the Heart. Saturday, September 16: Selichot Service, 6:30PM. Ruach Shabbat: A Family Shabbat Service. 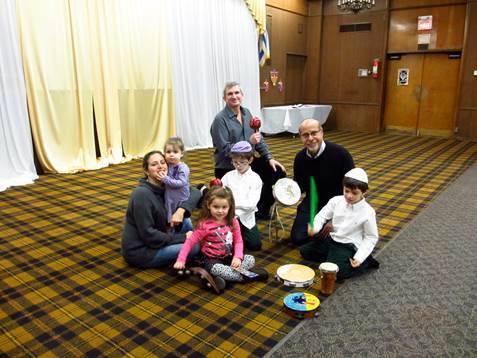 Family Shabbat is a child-friendly service and encourages the participation of children. All are welcome, and this service is especially popular with families with children. Ruach Shabbat is a shorter service and has a nice Kiddush. Family Shabbat Service is a great way to connect with Shabbat and with other families with young children. Take a break during the day, come for a light lunch, discuss ideas and share opinion with friends. Saturday, September 2: 2017 at 7PM. Movie Night: Doubt: a film by: John Shapley. The film takes place in St. Nicholas school led by Sister Aloysius(Meryl Streep) Sister James(Amy Adams) tells Aloysius that Father Flynn(Philip Seymour Hoffman) might have too much personal attention with the school’s only black student Donald Miller(Joseph Foster), thus leading thus Aloysius starting a crusade against Flynn. The film also stars Viola Davis as Donald Miller’s mother. Young Irish immigrant Eilis Lace (Saoirse Ronan) navigates her way through 1950s Brooklyn. Lured by the promise of America, Eilis departs Ireland and the comfort of her mother’s home for the shores of New York City. The initial shackles of homesickness quickly diminish as a fresh romance sweeps Eilis into the intoxicating charm of love. But soon, her past disrupts her new vivacity, and Eilis must choose between two countries and the lives that exist within. Drinks and popcorn! $5 donation.